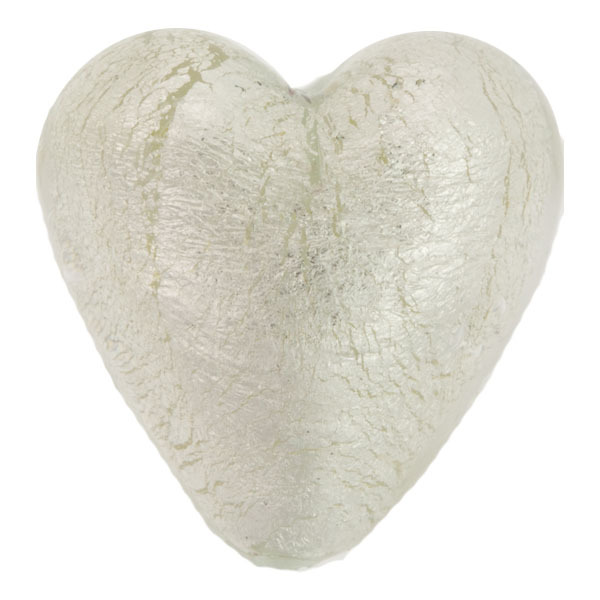 This is a large Murano Glass Heart, approximately 28mm tall with a 1mm hole vertically through the bead. It is slightly puffy, and makes a great pendant. The color is clear Murano Glass encasing .925 Sterling Silver.